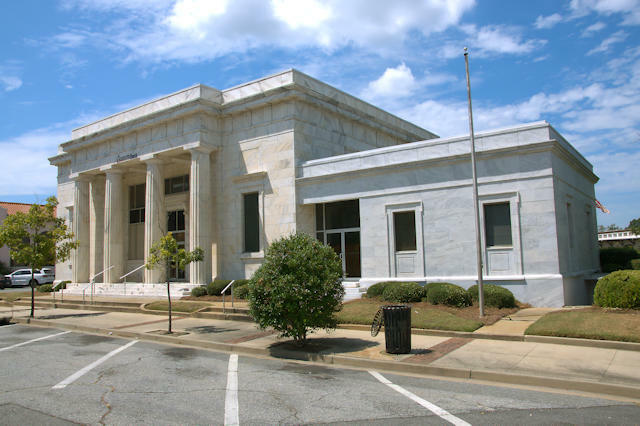 Designed by William Edwards of the Atlanta firm of Edwards & Sayward, the Bank of Tifton is one of the most distinct commercial structures in the historic district. Several banks have occupied the site over the years and it is presently an Ameris Bank. The wing on the right side is a later expansion. My Granddad, Mike Godwin, said that he hid behind one of those columns and dodged bullets during a bank robbery.